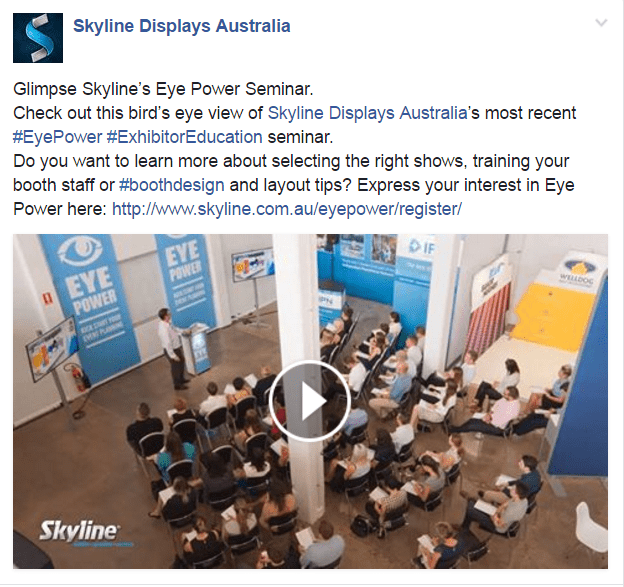 Our Facebook post with the most reach for February 2017 was a time lapse video of Skyline’s February Eye Power Exhibitor Education Seminar. Watch the full video here. To register your interest in future Eye Power events go to www.skyline.com.au/eyepower/register.